(CNN) - With summer around the corner, Centers for Disease Control and Prevention experts are warning --- beware the bugs! "It's very important that the public is very aware that these are more than summertime nuisances -- you can get very severe diseases from ticks and mosquitoes," said Dr. Lyle Petersen, an author of the report and director of the CDC's Division of Vector-Borne Diseases, who actually had West Nile virus himself from a mosquito bite in 2003. "I was sick at home in bed for more than a week with severe headaches and fever and skin rash and just feeling horrible," he said about his illness. "Then after that, it took me about three months to get back to normal. It was definitely something that ruined my summer." Vector-borne diseases account for more than 17% of all infectious diseases, causing more than 700,000 deaths annually across the globe, according to the World Health Organization. Now the new CDC report sheds light on just how much these diseases are growing in the U.S.
Tick-borne illnesses, which accounted for more than 75% of all vector-borne disease reports, grew from 22,527 cases in 2004 to 48,610 cases reported in 2016, the researchers found. Lyme disease accounted for 82% of the cumulative reported tick-borne diseases, according to the data. West Nile virus was the most commonly transmitted mosquito-borne disease in the continental U.S., with its most notable epidemic occurring in 2012, especially in Texas. Though rare, plague was the most common flea-borne disease included in the data. Endemic plague, transmitted mostly in the rural southwestern U.S., did not exceed 17 cases in a year. The report noted that, since 2004, there have been nine vector-borne pathogens newly identified as concerns among humans in the U.S.: the tick-borne viruses Heartland and Bourbon; Lyme disease-causing Borrelia miyamotoi and Borrelia mayonii bacteria; two new tick-borne spotted fever species, Rickettsia parkeri and Rickettsia 364D; a newly recognized tick-borne Ehrlichia species; and the mosquito-borne viruses chikungunya and Zika. 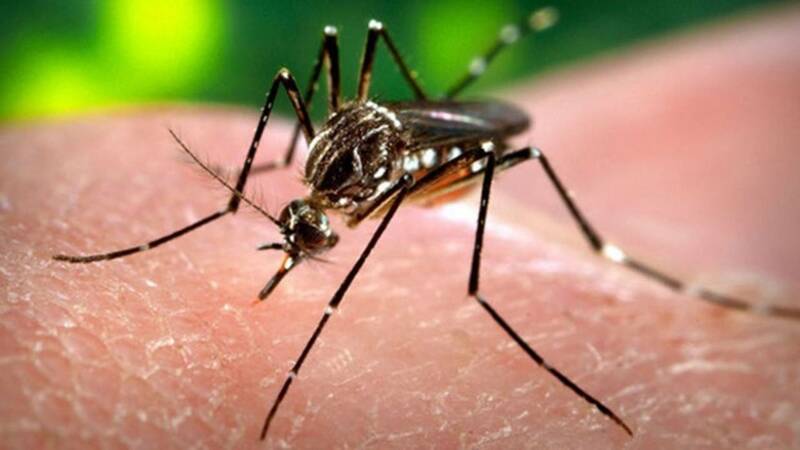 "Zika, West Nile, Lyme, and chikungunya -- a growing list of diseases caused by the bite of an infected mosquito, tick, or flea -- have confronted the U.S. in recent years, making a lot of people sick. And we don't know what will threaten Americans next," CDC Director Dr. Robert Redfield said in a statement. "It's a perfect storm where you've got this huge increase in ticks and people exposed to those ticks and then you have a giant Lyme disease problem, and compounding that is that in recent years, we've had some warmer temperatures," Petersen said. "For the mosquito-borne diseases, like West Nile, Zika, and chikungunya for example, one of the big problems is that people and goods are moving around the planet at ever-increasing rates and speed, and so basically any of these mosquito-borne diseases can be transmitted almost anywhere in the world in the matter of a day," he said. "Because of this increase in travel and trade, we have just an accelerating trend towards the importation of exotic mosquito-borne diseases." Since the new report sheds light on how a small percentage of ticks and mosquitoes in the U.S. carry pathogens, people who are frequently outdoors should use repellents and remember to inspect their bodies for ticks, said Dr. David Sullivan, a professor of molecular microbiology and immunology at Johns Hopkins Bloomberg School of Public Health, who was not involved in the report but has studied malaria and other infectious diseases. "Vector-borne diseases are fueled by changes in the ecology of microbial pathogen, reservoir hosts, local and global climate change as well as changes in human host susceptibility or travel patterns," Sullivan said. Dr. Myron Cohen, professor and director of the Institute for Global Health and Infectious Diseases at the University of North Carolina at Chapel Hill, called the new report "really important." Cohen, who was not involved in the report went on to offer more ideas about Lyme disease and Zika infection, which have attracted great attention in the U.S.
On the other hand, Zika hit the U.S. with a high number of cases in 2016 since the general public was not as familiar with the virus in prior years, he said. "Zika shows us the potential for an emerging pathogen that's vector-borne to enter a population -- like as it did in Puerto Rico and some of the other territories and a little bit in Florida -- and kind of sweep through the population," Cohen said. "So it shows how vulnerable we are if the vectors are there in sufficient concentration, and we have not seen the disease before in the population, it can be a fairly profound epidemic," he said.